We at Hurst & Hurst want to do our part to help reduce injuries from auto accidents. There are a variety of different ways to be distracted while driving, not all of them are obvious. The recent increase in car accidents in the U.S. has placed a spotlight on the issue at the heart of the surge — distracted driving. Most often this light shines brightest on teens and smartphones. However, this diverts attention from the many other distractions drivers have to deal with regularly. 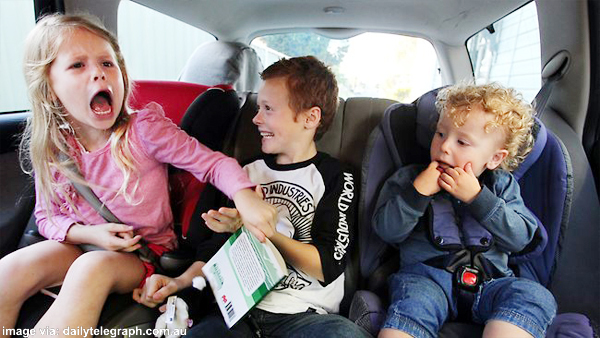 A major distraction can be a parent attempting to tend to their child in the backseat. Or just a parent attempting to drive with a child in the vehicle at all. Parents would never willingly put their children in harm’s way. For this reason, it is improbable that they would read or write a text message while driving. 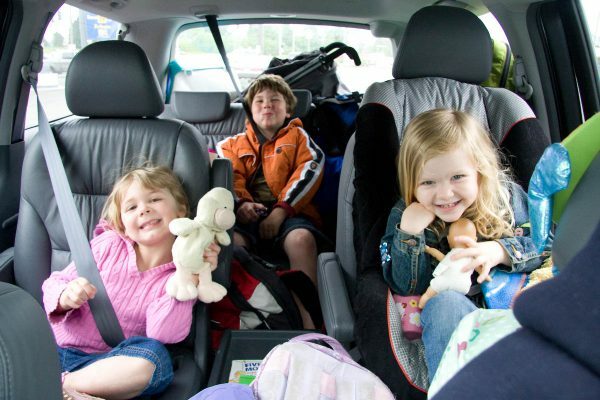 At the same time, though, a parent may be more than willing to tend to their child’s needs in the backseat. Despite this taking their attention from the road. And, unlike a text message or push notification, a child’s needs cannot always be safely ignored. This is all compounded with a parent’s natural urge to care for their child. Taken together it’s easy to understand how parents are willing to focus their eyes and attention on the back seat instead of the road. Driving, Plus Parenting, Directing, Feeding, Teaching, etc. This mother is not alone. Nor is she a rarity. Few parents can honestly say they have not taken their attention from driving to tend to a child’s needs or wants. And many parents don’t consider taking their eyes off the road to address their children’s demands as dangerous as using smartphones. However, there is research to suggest that assumption is incorrect. While it’s easy to see how cell phones and the navigation screens contribute to making the roads more dangerous. It is more difficult to see your own child as hazardous. Still, while driving a car is not the time to cater to every one of your child’s needs. Too many parents fail to understand the danger. Nearly 36 percent of respondents to a survey on distracted driving released by NHTSA in 2013, admitted they interact with their children in the back seat on at least some trips. And another 13 percent admitted to doing so rarely, but sometime. A little more than half of the respondents, 51.2 percent, claimed they never interact with children in the back seat while they are driving. At the same time, respondents to the survey declared overwhelmingly they never read emails and text messages (74 percent), sent emails and text messages (78.7 percent), did personal grooming (80.1 percent), or read a book or newspaper (96.3 percent) while driving. This shows a huge difference between what is many consider more distracting, i.e. phones, and what is in actuality more distracting, children. Based on these survey responses, it can be argued that many drivers are good about avoiding obvious distractions like their phones or a book. While they are not as aware of less apparent distractions, like children in the back seat. This is a grave miscalculation on the part of parents, though. A research study organized by an Australian University found children were 12 times as distracting in the car as cell phones. 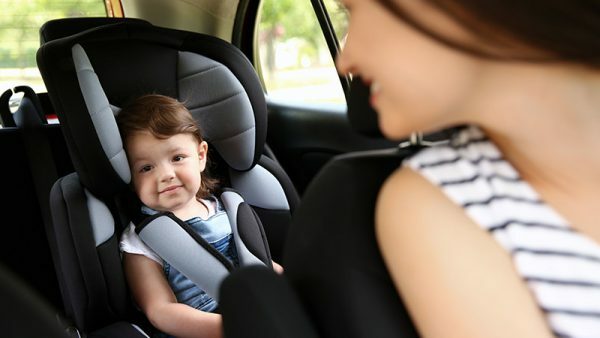 The study, conducted by researchers at the Monash University Accident Research Centre, found that parents in the study took their eyes off the road on average for three minutes and 22 seconds during a 16-minute trip in order to address the demands of their children. Meaning parents in the study were paying attention to their children, not the road, 21% of the time. The vast majority of the time (76.4%), parents took their eyes off the road to look at the child in the rear seat or watch them through the rear-view mirror. 16% percent of the time was spent talking with the child, 7% percent was spent helping the child, and 1% percent was spent playing with the child. Regardless of the reason, it is never a good idea to look away from the road while driving. Yet, sometimes a child’s demands cannot be ignored, even in the car. The question for parents is: how can they safely and effectively address their children’s needs in the car? Children often can’t tend to their needs on their own. This is where parents come in. However, a moving vehicle complicates the situation. Parents obviously want to attend to their children, but not by endangering them. Plan ahead: It is far more dangerous to hunt for a snack or toy when your eyes should be on the road. You can avoid this situation by planning ahead. Having everything your child or children may need easily accessible and within arms reach. This will help you tend to them quickly, efficiently, and safely. And get you back to focused on the road. Non-emergent issues can wait: Being well prepared helps, but you can’t prepare for everything. In those instances, it is recommended you wait until you reach your destination to safely address their needs. This might be difficult for you, and may cause a few tantrums, but it is a much safer alternative to distracted driving. Pull over: Pulling over to address each and every one of your child’s desires could take forever. Depending on the road or conditions, it may also not be safe to continuously pull over and re-merge with traffic. As a result, parents are recommended to pull over only when it’s absolutely necessary and only where the car is in a safe spot, such as at a rest stop or parking lot. Educate kids on car safety: Car safety should be taught right along side how to cross the street and not to talk to strangers. Explain to your child that when they are in the car it is important that they behave so adults are able to pay attention to the road. Otherwise, there could be an accident in which people get hurt. Be a good model: Children often copy what they see their parents doing, including driving habits. If you use your cell phone or fall victim to other distractions in the car, your child will see this and may emulate those behaviors when they become drivers. By avoiding distractions in the car you are not only keeping yourself and your children safe, you’re teaching them proper driving etiquette for the future. What If I’m in a Distracted Driving Accident? America is a big country and not every driver you share the road with will be as responsible as you are. Even if you avoid distractions yourself, you can’t account for the behavior of all the other drivers on the road. The highway is a dangerous place for you and your children. If you have questions about the a driver’s duty of reasonable care, car wrecks or about bringing a personal injury claim contact us or check out our legal blog cover topics ranging from duties of care to divorces to bankruptcy. If you or a loved one are injured in a car accident, the attorneys at Hurst & Hurst can help. Our firm can determine if you have viable claim and assist in determining if the potential Defendant was reckless or distracted while driving. There is no up-front cost to hire a Hurst & Hurst attorney, and you will never pay a cent unless there is a favorable outcome to your case. Contact us at (859) 209-2101 if you have questions or want to speak to an experienced personal injury attorney now.